MaxPreps highlights over 70 big time high school hoops events with national appeal. Breaking down the national contenders heading into the 2018-19 season. High school basketball season is officially underway, as some of the top events of the 2018-19 high school basketball season will kick off this weekend. Over the years high school basketball has grown bigger and bigger on the national stage with more prep schools and basketball academies than ever before. All that talent has to play somewhere, and that is why our top event list that featured just over 50 events three seasons ago has grown to nearly 80 this season. Monster match-ups between Lone Star state championship contenders include Rockwall vs. Little Elm, Northwest (Justin) vs. DeSoto, Guyer (Denton) vs. Lancaster and South Garland (Garland) vs. Duncanville. Eight intriguing Peach State showdowns will culminate with Meadowcreek (Norcross) vs. Wheeler (Marietta) and McEachern (Powder Springs) vs. Holy Spirit Prep (Atlanta) as the prime time matchups. The 67th annual event features a strong field that includes Bishop Montgomery (Torrance), Fairfax (Los Angeles), Harvard-Westlake (Studio City), Santa Margarita (Rancho Santa Margarita), and Rolling Hills Prep (San Pedro). A quality 48-team field will give us an early preview of seven preseason top 25 Texas class 6A schools, according to the Texas Association of Basketball Coaches with Allen, Dickinson, Fort Bend Elkins (Missouri City), Morton Ranch (Katy), North Crowley (Fort Worth) and Pearce (Richardson) all participating. An early look at teams from across nine states and Canada, featuring North Carolina contenders Carmel Christian (Matthews, N.C.), Christ School (Arden, N.C.), Greensboro Day (Greensboro, N.C.) and youthful Cannon (Concord, N.C.). The National Prep Showcase is always a great opportunity to get an early look at the top Prep Schools in the nation. The loaded three day event will feature 21 games between programs Prep School scene. Will feature a number of teams coming into 2018-19 with high expectations including Aurora Christian (Aurora, Ill.), Belleville West (Belleville, Ill.), Christian Brothers (St. Louis), LeFlore (Mobile, Ala.), Pleasant Grove (Utah), Rayville (La.) and Sumter (S.C.). An early look at many top Charlotte area powers culminates with back-to-back North Carolina class 3A state champions Cox Mill (Concord) vs. class 4A state title contender West Charlotte (Charlotte). The 5th annual Atlanta event features Georgia powers Greater Atlanta Christian (Norcross, Ga.), Lincoln Academy (Suwanee, Ga.), Meadowcreek and Norcross (Ga.). Out of state teams include Carmel Christian, Huntington St. Joseph Prep (Huntington, W. Va.), Legacy Charter (Greenville, S.C.), Sacred Heart Catholic (Anniston, Ala.), South Shore (Brooklyn, N.Y.), Wasatch Academy (Mt. Pleasant, Utah) and others. Phenom Hoops' Thanksgiving event will feature three programs ranked in the Preseason Top 100. Preseason Top 100 contenders Bearden (Knoxville, Tenn.), Florence (Miss. ), Grayson (Loganville, Ga.), Memphis East (Memphis, Tenn.), Mountain Brook (Birmingham, Ala.), Olive Branch (Miss.) and West Oaks Academy (Orlando, Fla.) compete in Corinth. Texas state title contenders Guyer, Duncanville, Northwest, Little Elm, Rockwall, Silsbee (Texas), and South Garland will be joined by out-of-state schools Washington (Tulsa, Okla.), Putnam City West (Oklahoma City), San Joaquin Memorial (Fresno, Calif.), Sunrise Christian Academy (Bel Aire, Kan.), Wauwatosa West (Wauwatosa, Wis.) and Vashon (St. Louis). California contenders Bishop O'Dowd (Oakland, Calif.), Modesto Christian (Modesto, Calif.), Moreau Catholic (Hayward, Calif.), Santa Margarita and Sheldon (Sacramento, Calif.) will compete in Newark. A stacked four-day event features Belleville West, Lexington Catholic (Lexington, Ky.), Our Saviour Lutheran (Bronx, N.Y.), Prolific Prep Academy (Napa, Calif.), Olive Branch (Miss.) and Scott County (Georgetown, Ky.) among others. IMG Academy (Bradenton, Fla.) and Oak Hill Academy (Mouth of Wilson, Va.) join the best teams from the Palmetto State in this early showcase. Chaminade (St. Louis), Dominican (Whitefish Bay, Wis.), Huntington St. Joseph Prep (Huntingtong, W. Va.), Mater Dei (Santa Ana, Calif.), Sunrise Christian Academy (Bel Aire, Kan.), St. Vincent-St. Mary (Akron, Ohio) and Vashon join Windy City powers Morgan Park (Chicago), Simeon (Chicago) and Whitney Young (Chicago) in the stacked Chicago event. Top Sunshine State programs American Heritage (Plantation), Blanche Ely (Pompano Beach), Miami Christian (Miami), University (Fort Lauderdale), and Wellington (Fla.) will be featured among others. This unique event gives us an early look at Missouri contenders, with 48 consecutive hours of basketball over the course of this special three-day event. 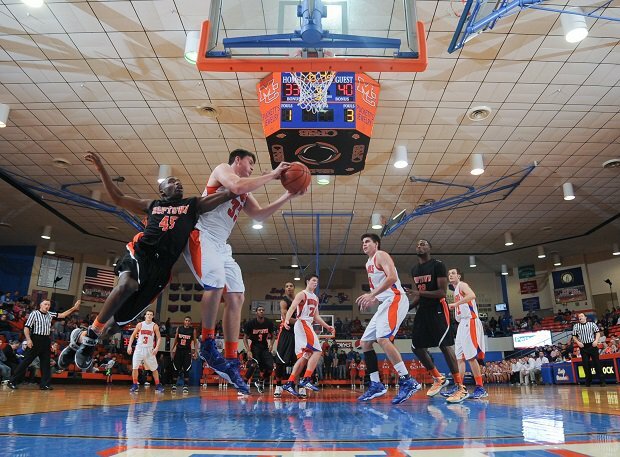 Reed Conder Gymnasium in Benton, Ky., is home to the Marshall County Hoopfest. Top teams from the Buckeye state take the floor along with out of state foes Hamilton Heights Christian Academy (Chattanooga, Tenn.), Huntington St. Joseph Prep, Legacy Charter, Teays Valley Christian Prep (Scott Depot, W. Va.) and Wesley Christian (Allen, Ky.) among others. Cox Mill, Dorman (Roebuck, S.C.), Huntington St. Joseph Prep, Gray Collegiate Academy (West Columbia, S.C.), Oak Hill Academy and Ridge View (Columbia, S.C.) will all be in action in Columbia. In what has grown into one of the top events on the West Coast, the Hoophall West features MaxPreps Preseason Top 25 teams Bishop Gorman (Las Vegas), Gonzaga Prep (Spokane, Wash.), Guyer, Rancho Christian (Temecula, Calif.) and Shadow Mountain (Phoenix). This event pits five of the top teams from Alabama and Georgia against each other with a main event between defending state champions Mountain Brook and Meadowcreek. The first of four National Hoopfest events headlined by top 10 match-ups of Montverde Academy (Montverde, Fla.) vs. Sunrise Christian and IMG Academy vs. DeMatha (Hyattsville, Md.). The eight-team field is headlined by Abington (Abington, Pa.), Episcopal (Bellaire, Texas), host Gonzaga (Washington, D.C.), St. Frances Academy (Baltimore) and Whitney Young. Features preseason top 100 squads Carmel and New Castle along with host Southport (Indianapolis) and other Indiana contenders. Every game pits a Memphis or Atlanta area team against a Birmingham area team. Carver (Birmingham, Ala.), Hoover (Ala.), Hueytown (Ala.), Lee (Montgomery, Ala.), Pinson Valley (Pinson, Ala.) and Ramsay (Birmingham, Ala.) will make up the local opponents. Host Waxahachie (Texas) will have its hands full with showdowns against Huntington St. Joseph Prep and IMG Academy. Top 25 matchups of Sunrise Christian vs. South Garland and DeMatha vs Guyer headline the event. Top 100 Garden State teams Bergen Catholic (Oradell), Blair Academy (Blairstown), Immaculate Conception (Montclair), and Ranney (Tinton Falls) participate in Elizabeth. Peach state contenders Holy Spirit Prep, Jonesboro (Ga.), Lincoln Academy, McEachern, Meadowcreek and Wheeler are joined by out of state programs Legacy Charter and Superior Collegiate (Clearwater, Fla.). Host Bishop Gorman, Chino Hills (Calif.), Federal Way (Wash.), Findlay Prep, Lincoln Academy, Pinnacle (Phoenix), Rancho Christian and Whitney Young will all compete in the loaded Vegas event. Three of the top five teams in the preseason polls — Oak Hill Academy, IMG Academy and University — travel to Fort Myers to compete in the most talent-rich tournament field of the 2018-19 season. Seven teams will travel off the mainland to Hawaii as La Lumiere, Montverde Academy, Oak Ridge (Orlando, Fla.), Pleasant Grove, Sierra Canyon (Chatsworth, Calif.), West Linn (Ore.) and Westchester (Los Angeles) headline the prestigious holiday event. An intriguing new event popped up in Florida this season as the inaugural Emerald Coast 16 features teams from eight different states, with headliners Bishop O'Connell (Arlington, Va.), Carmel Christian, West Oaks and Wasatch Academy. Bluegrass state competitors Ballard (Louisville), Madison Central (Richmond), Trinity (Louisville) and University Heights (Hopkinsville) will be joined by out-of-state opponents Brentwood Academy (Brentwood, Tenn.), Evanston (Ill.), South Miami (Miami) and South Shore. Annually one of the top events in the Sunshine State, the Kreul Classic features an impressive 36-team field that will be split up into five separate brackets. Teams from 11 different states make an appearance at Coconut Creek. The 17th annual Chick-fil-A Classic will take place after Christmas for the first time in event history, with 10 of the top 100 teams in the nation competing in Columbia. The largest holiday basketball tournament in the country will bring 120 teams to Salisbury in its 38th year. The No. 1 prep school in the nation, Brewster Academy (Wolfeboro, N.H.), will be joined by contenders Prolific Prep Academy, Ranney, Virginia Episcopal School (Lynchburg, Va.) and West Charlotte. Gonzaga Prep, Sierra Canyon and University will be favorites against the Beaver state's top programs at the prestigious event. The field has yet to be announced for this elite California event hosted by Rancho Mirage (Calif.). The massive 64-team field features some of California's top basketball programs. Started in 1990, the Torrey Pines Holiday Classic never disappoints with a strong mix of California mainstays and national competition. Teams from Arkansas, California, Kentucky, Mississippi, New York, Texas, Virginia and West Virginia join teams from both Carolinas in Myrtle Beach. Nine states and the Bahamas will be represented in the 36th installment of the Arby's Classic. Re-branded event includes top 25 teams Findlay Prep, La Lumiere and Mountain Brook. Formerly known as the Mike Miller Classic, the top event of the Dakotas continues at the Corn Palace in Mitchell and the Sanford Pentagon in Sioux Falls. One of the top events in the Midwest will provide another strong 16-team field in late December. The 26th edition of the event features teams from D.C., Georgia, Maryland and North Carolina joining the Palmetto state's top programs. Known for showcasing the talents of Carmelo Anthony, Kevin Durant and LeBron James, the Slam Dunk to the Beach continues to make a strong comeback on the national scene. The 61st edition of the Whataburger Tournament provides a more clear picture of Texas state title contenders prior to the New Year. One of the top Sunshine State events annually, it will have another strong field in the 45th edition of the 16-team tournament. Florida contenders Auburndale, Berkeley Prep (Tampa), Miami Christian (Miami), Osceola (Kissimmee), Providence School (Jacksonville) and The Villages Charter (The Villages) will be joined by Hamilton (Sussex, Wis.) in the strong eight-team bracket. 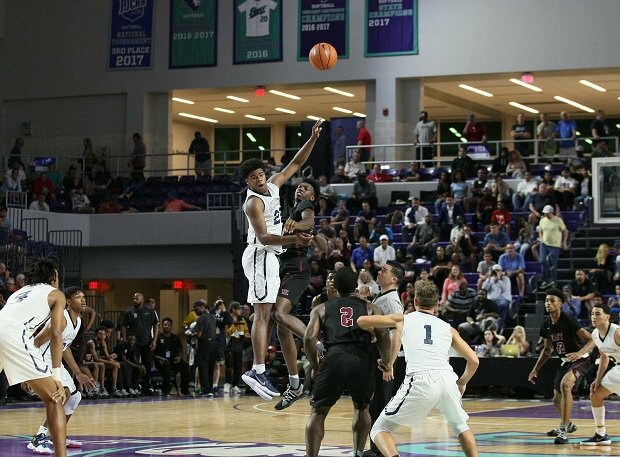 Vernon Carey Jr. and University look to defend their City of Palms Classic title. Preseason top 100 programs Bearden, Holy Spirit Prep, Memphis East, Olive Branch, Simeon and Whitney Young will all compete in the third ARS Hoopfest event of the season. Tournament director Doc Merrick put together his best field to date, with an incredible eight match-ups between top 25 foes in Wheeling. Calvary Day School (Winston-Salem, N.C.), Huntington St. Joseph Prep, Northwest Guilford (Greensboro, N.C.) and Teays Valley Christian (Scott Depot, W. Va.) make up the out-of-state teams attending this year's event. This 28th annual event includes two match-ups with national implications as Chaminade (St. Louis) faces Nicolet (Glendale, Wis.) and Belleville West takes on Vashon. Defending CIF Open Division state champions host an event sure to bring top-notch California talent. Belleville West, McEachern, Memphis East, Rainier Beach (Seattle) and Sunrise Christian headline the loaded eight-team bracket in Springfield. This mega showcase will be headlined by top 5 showdowns — Oak Hill Academy vs. IMG Academy and Montverde Academy vs. Sierra Canyon in basketball's birthplace. The 36th annual Burger King Classic has yet to announce the four-team field set to participate in 2019. Top 100 Buckeye State programs Pickerington Central (Pickerington), SPIRE Institute (Geneva), and Trotwood-Madison (Trotwood) will be joined by top 100 out of state schools Bella Vista Prep (Scottsdale, Ariz.), First Love Christian Academy (Washington, Pa.), IMG Academy, Huntington St. Joseph Prep and Oak Ridge. 15th edition of the event will attract top Garden State programs Hudson Catholic (Jersey City), Patrick School, Seton Hall Prep (West Orange), St. Joseph (Metuchen) and St. Peter's Prep (Jersey City) among others. Wasatch Academy takes on Fairfax in the night-cap of an event loaded with talented California programs that could make a deep playoff run. Bishop O'Dowd, Modesto Christian, Moreau Catholic, Pleasant Grove, De La Salle (Concord, Calif.), Salesian College Prep (Richmond, Calif.), San Joaquin Memorial and St. John Bosco (Bellflower, Calif.) will have the opportunity to play on the home court of the St. Mary's Gaels. Top-notch Georgia event will feature four quality match-ups headlined by prime time showdowns of Wheeler vs. Gonzaga and Norcross vs. Gray Collegiate. The field has not yet been announced, but we know Long Island Lutheran, Montverde Academy, Rancho Christian, Vashon and Wasatch Academy will compete in what is expected to be the deepest field in event history. Bishop Gorman, Chino Hills, Harvard-Westlake, Modesto Christian, Oak Hill Academy, Santa Margarita and St. John Bosco join the host Mater Dei. An event that began in 1992 is always a good indicator of how strong Mississippi basketball is compared to neighboring states. Ranney takes on Roselle Catholic in a showdown between the two biggest contenders for the 2018-19 New Jersey tournament of champions title. Archbishop Carroll (Washington, D.C.), First Love Christian Academy, Lincoln Academy, National Christian Academy (Fort Washington, Md. ), Our Savior New American (Centereach, N.Y.), Riverdale Baptist (Upper Marlboro, Md.) and Wilson (Washington, D.C.) join host St. James (Hagerstown, Md.) to make up the field. The 21st annual prep school invitational will be held at Rhode Island College in the four-day event. Since its inaugural run the event has seen over 1,800 Division I athletes and 84 NBA players. The Spalding Hoophall Classic features Top 5 showdowns with Oak Hill Academy vs. IMG Academy and Montverde Academy vs. Sierra Canyon in basketball's birthplace. In the most highly anticipated high school basketball game of the season, preseason No. 1 Montverde Academy faces off against preseason No. 2 Oak Hill Academy for the first time in the regular season. 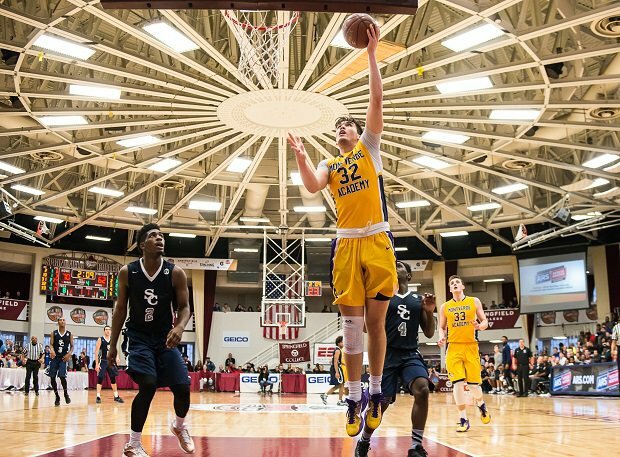 Montverde Academy will be featured in the Friday and Saturday night showdowns with Ranney and Roselle Catholic (Roselle, N.J.) in an event that nearly cost them their perfect season last year. The same event that produced Sunrise Christian Academy vs. Oak Hill Academy last season will feature Sunrise Christian Academy vs. Wasatch Academy as the main event this year. Founded in 1976, the Primetime Shootout has been a hotbed for elite talent for years, featuring Carmelo Anthony, LeBron James, Dwight Howard and many others in its rich history.